Daily Illuminator: Play More Games On International Tabletop Day! April 27, 2018: Play More Games On International Tabletop Day! 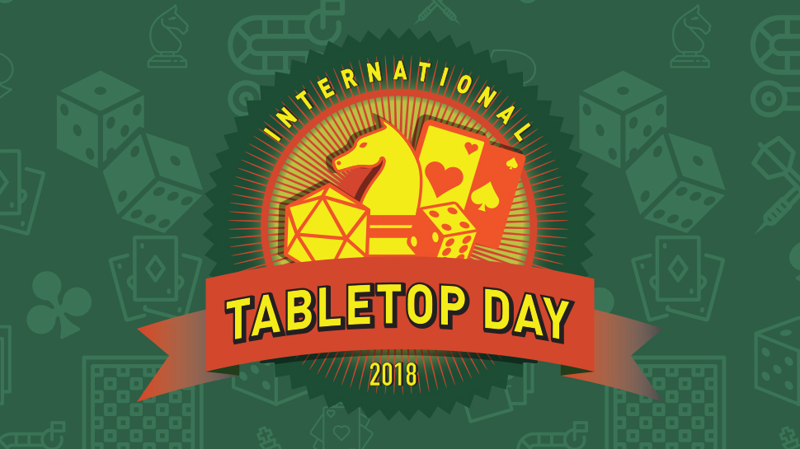 International Tabletop Day has come a long way since its inception, growing to one of the biggest geek holidays around! Tomorrow, Saturday April 28, is the sixth annual Tabletop Day, and you can feel the cardboard-laced excitement in the air. What started out as a dream for some of our friends at Geek & Sundry has evolved into a spectacular event, bringing people from all backgrounds out to their local game stores to do something that brings us all together: play more games! From our own releases from SJ Games, to those of the many other fantastic companies making tabletop delights, gamers around the world have a day to get out and game. "But I get out and game all the time!" you may say. That's awesome! You should still check out your local store's Tabletop Day event. Many times, there are awesome promo items given away, and (more important) you'll get to play games outside of the norm and meet new people! It's a great way to mix it up from your regular gaming events. While we aren't an official sponsor, our MIB volunteers will be running demos at various Tabletop Day events around the country! You can find a list of events on our Facebook page. If you don't see one here, you should still check out the FLGS near you to see what they're doing for the day. And if you do #PlayMunchkin or #PlayMunchkinCCG on Tabletop Day, share a picture of your game with one of those hashtags on Twitter, Facebook, or Instagram, and you can win a cool prize pack for the game you played! Tabletop Day is a blast: get to your local game store and enjoy the festivities if you can!